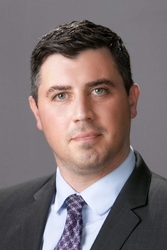 Michael P. Morrow is counsel in the Princeton, N.J. office of Hill Wallack LLP, where he is a member of the Real Estate and Corporate Law practice groups. Mr. Morrow is admitted to practice law in New Jersey (2008), New York (2010) and in all the state courts for New Jersey and New York, the United States District Courts for the District of New Jersey and the Southern District of New York. He earned his J.D. from New York Law School and his B.A. in Economics and Political Science from Dickinson College. Representing Debtors, Creditors, and Trustees in Chapter 7, Chapter 11 and Chapter 13 bankruptcy matters.